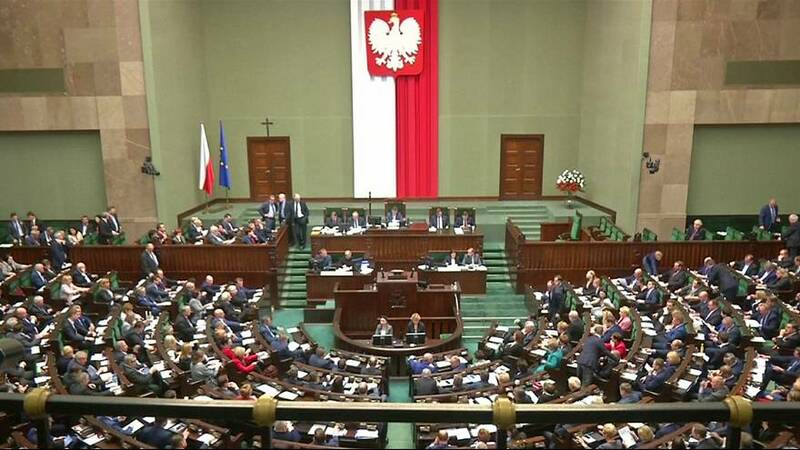 The polish parliament has approved a controversial bill favouring protests organised by the authorities and the church. The legislation explicitly bans rallies from taking place at the same time as those sponsored by the state. Human rights campaigners and Poland’s ombudsman have heavily criticised the measure. ‘‘It seems to me that if anybody who organises an assembly and will make a proper notification and will start preparations, then the government may come and will say: ‘oh, sorry, on this day we are going to organise so-called assembly by the public power, which means that you cannot take advantage of this place, of this venue, of this time for the assembly’. And it will create chance for the government to dissolve any assemblies,” Poland’s Ombudsman, Adam Bodnar said. The bill will now go to the country’s Senate. Pushed through by the ruling Law and Justice Party, it gives special priority to so called ‘cyclical’ rallies’ – repetitive assemblies aimed at celebrating what are deemed important events in Poland’s history. Organisers of such ‘cyclical’ rallies would have priority in choosing the place and time over other planned gatherings and local authorities would be obliged to ban any non-‘cyclical’ protests in case of an overlap. Under former rules, a local authority gives priority to the organisation which files the first request to stage a rally or demonstration, irrespective of the aims of the gathering. Jaroslaw Kaczynski’s supporters have been organising monthly commemorations of the plane crash that killed his twin brother, Lech Kaczynski.